Kodak Gold 200 on some sort of camera, with some sort of lens I think. Instances like this (I won’t say screw ups, we all know this was on purpose) are quite often very cool. 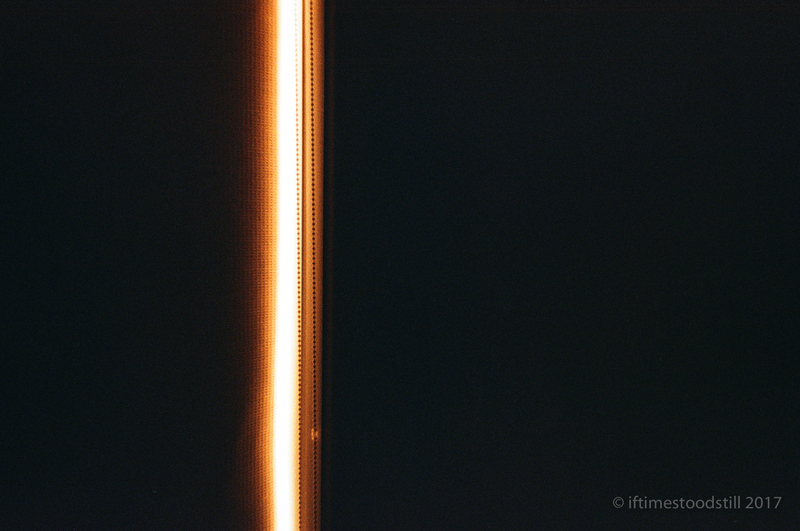 I’m always excited to see what is hiding after I develop film. Funny enough, this actually WAS on purpose 😂–I was putting my son to bed late in the summer, and liked the way the sun was shining around the blackout blind. I was wondering whether I could capture it, and how I would meter. I’m pretty happy with the abstract result! I knew it as soon as I typed it…I bet this really was ok purpose. Well it’s still pretty cool. Good job, haha! You CALLED IT man–you KNEW it was intentional! !